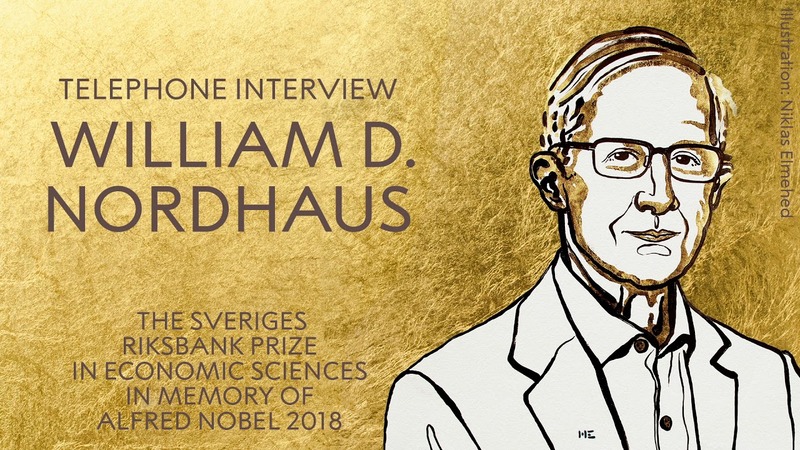 Nordhaus is known for his pioneering model describing how economic activities drive climate-warming emissions. He is a major advocate of using carbon taxes to reduce greenhouse gas emissions. He has worked on this topic since the 1970s, when scientists became increasingly worried about fossil fuels contributing to a warming world, the academy said. Coincidentally, the academy's announcement was issued the same day that a United Nations' Intergovernmental Panel on Climate Change (IPCC) issued a report about the catastrophic effects of unmitigated climate change and advised rapid government action. The report builds on and cites Nordhaus' work, The New York Times reported. When it comes to averting climate change, "the policies are lagging very, very far—miles, miles, miles—behind the science and what needs to be done," Nordhaus said in an interview after his win. He added that the United States has fallen behind in mitigating global warming due to the "disastrous policies" of the Trump administration. President Trump has pushed for fossil fuel usage and infamously pulled the U.S. out of global Paris agreement to limit warming. Romer, whose work focuses on how economic forces govern the willingness of firms to produce new ideas and innovations, laid the foundation of what is now called "endogenous growth theory," the academy said. The theory explains how ideas require specific conditions to thrive in a market. Romer is less pessimistic about the future of the planet in light of the IPCC's dire report, but said work needs to be done to slash carbon emissions. "It is entirely possible for humans to produce less carbon," he said at the press conference announcing his prize. "Once we start to try to reduce carbon emissions, we'll be surprised that it wasn't as hard as we anticipated." Today marks the 50th anniversary of the Nobel prize in economics. "The contributions of Paul Romer and William Nordhaus are methodological, providing us with fundamental insights into the causes and consequences of technological innovation and climate change," the academy said. "This year's Laureates do not deliver conclusive answers, but their findings have brought us considerably closer to answering the question of how we can achieve sustained and sustainable global economic growth."